INDIE-TRONICA? Singer-songwriter Cat Power plays the Fremont Theater on June 28, for a Numbskull and Good Medicine Presents show. "Three, six, nine, you drink wine, monkey on your back, you feel just fine," Cat Power sings on her 2012 album Sun. Maybe she's referring to her own difficulties with substance abuse. Born Chan (pronounced like Shane) Marshall, her issues have been pretty well documented. Sun, her first original studio album since 2006's The Greatest, mixes light synth-driven and drum machine electronica with her lush vocals, a decided break from the "slow guitar song" sounds of her early career and the Delta and roots blues collaborations of her later career. The indie rock darling has matured, and according to most reports, gone are the days of her erratic and often drunken performances that could be marked with rambling, abbreviated, and incoherent songs. 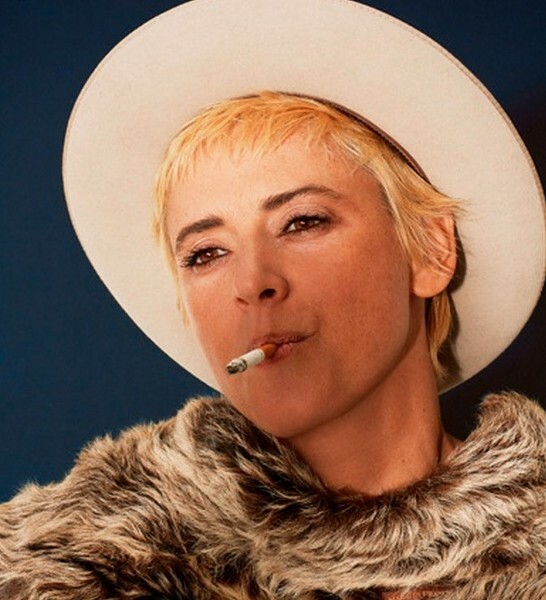 When Cat Power released The Greatest in 2006, it was well received, but she was forced to cancel her tour due to a hospitalization purportedly brought on by substance abuse and a mental breakdown. She was also broke and had a house foreclosed on due to unpaid property taxes, and she didn't want anyone second-guessing what she was doing on Sun, so she decided to self-finance and record it herself in a home studio in Malibu. She played, programmed, engineered, and produced it all. To keep the money going, she released an album of covers in 2008 called Jukebox, which she toured in support of before returning to her studio to continue the six-year recording process of Sun. She's called the recording "a rebirth," and it certainly marks a new era in her career. "Moon Pix (1998) was about extreme isolation and survival in the crazy struggle," Cat Power said in press materials. "Sun is don't look back, pick up, and go confidently into your own future, to personal power and fulfillment." Like her 2003 album You Are Free, Sun experiments with urban beats and vocal forms, but largely gone is the confessional angst of her earliest records. It's not that Sun isn't personal—it is—but Cat Power doesn't seem to need to wear her heart on her sleeve anymore. On "Human Being," she sings, "you got a right to scream when they don't want you to speak." On "Peace and Love," she starts with "peace and love is a famous generation," then she pays homage to Black Flag, scolds those who dismissed her teenage idealism, and defiantly concludes, "I'm a lover but I'm in it to win." In "Nothin But Time," she implores kids to look forward: "You're just trying to get by, but your world is just beginning ... it's up to you to be a superhero, it's up to you to be like nobody." SOLO JADE Jade Castrinos (formerly of Edward Sharpe and the Magnetic Zeros) opens for Cat Power on June 28, in the Fremont Theater. This is an album about being an individual and overcoming societal oppression. See Cat Power in a solo performance at the Fremont Theater this Wednesday, June 28 (7 p.m.; all ages; $30 presale at ticketfly.com or $35 at the door). 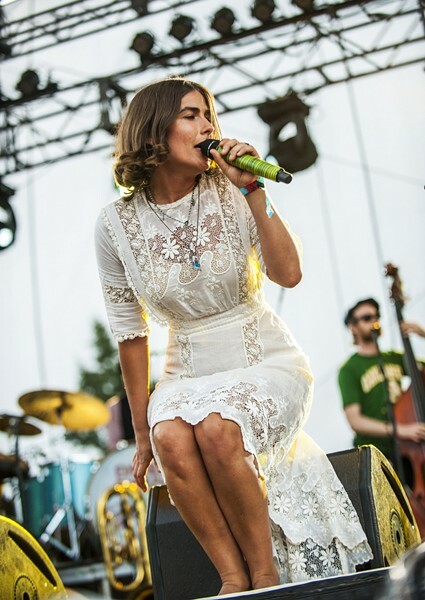 Jade Castrinos (formerly of Edward Sharpe and the Magnetic Zeros) will open this Numbskull and Good Medicine Presents show. Also this week from Numbskull and Good Medicine Presents comes Tiger Army with Murder by Death and Tim Barry next Thursday, June 29, at the Fremont Theater (8 p.m.; all ages; $25 presale at ticketfly.com or $28 at the door). "I think at this point we're sort of beyond genre," Nick 13 said in press materials of his band Tiger Army and its new album V.
Largely known for punk rock and psychobilly, Nick 13 and Tiger Army have gone beyond their early sound. "It was very important on this record for me to try to do something new to top myself," Nick 13 said. "I think a lot of people become complacent after so many years of making music. And I guess that was one reason why I was away for a little while—because that's what needed to happen to maintain that passion and, hopefully, freshness." 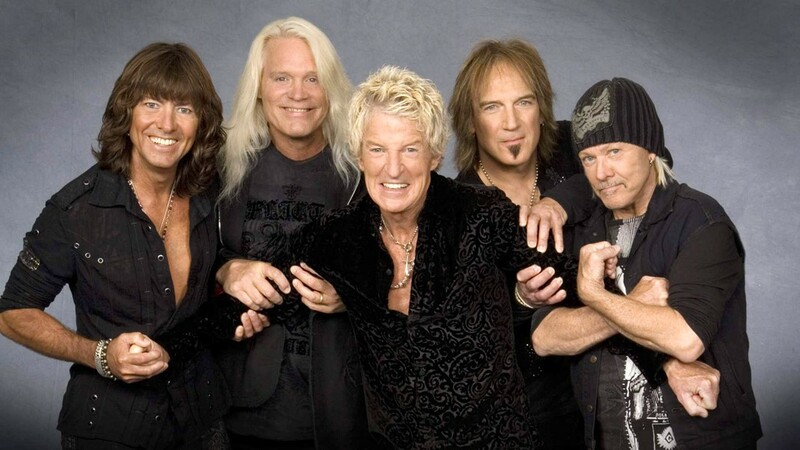 KEEP ON LOVING YOU REO Speedwagon (pictured) headlines the Vina Robles Amphitheatre on June 25, appearing with Styx and former Eagles guitarist Don Felder. A whole lot of classic rock awaits this Sunday, June 25, when REO Speedwagon, Styx, and Don Felder (formerly lead guitarist of The Eagles) team up for a stop on their national United We Rock Tour at Vina Robles Amphitheatre (7 p.m.; all ages; $65 to $135 at vinaroblesaphitheatre.com). Styx is know for hits such as "Lady," "Come Sail Away," "Babe," "The best of Times," "Too Much Time on My Hands," and "Mr. Roboto," among others. REO Speedwagon is the band behind hits such as "Keep on Loving You" and "Can't Fight This Feeling." Felder is known for many of The Eagles' most memorable guitar licks. This isn't the first time Styx and Speedwagon have hit the road together. Both are Midwest-based bands, and in 2000, they recorded a live album and DVD together called Arch Allies: Live at Riverport at Riverport Amphitheatre in Missouri. In 2009, the bands embarked on the Can't Stop Rockin' Tour and released the collaborative single, "Can't Stop Rockin'," co-written by Styx's Tommy Shaw and REO's Kevin Cronin. They toured again in 2012 and 2013, on their Midwest Rock'n'Roll Express tour. "Hitting the road with REO and Don Felder is gonna be an unforgettable evening of music for the fans and another chance to hang with these good time friends of ours who love the life as much as we do," Shaw, guitarist and singer/songwriter for Styx, said in press materials. COME SAIL AWAY Styx (pictured) joins REO Speedwagon and former Eagles guitarist Don Felder for a classic rock show on June 25, at Vina Robles Amphitheatre. Judging from responses from REO Speedwagon and Felder, it's a musical collaboration with admiration on all ends. "I called up Tommy Shaw last summer and we were both thinking the same thing: Let's get the boys together, make some music, and have some fun," REO's Cronin said. "REO Speedwagon and Styx together is a head first plunge into the Fountain of Youth, an unstoppable force of nature. Add the amazing Don Felder to the mix and it's a thundering slam dunk!" "I'm so excited to be spending the summer on tour with my good friends Styx and REO," Felder said. "It's going to be a rocking summer filled with hit after hit and tons of fun for everyone. Come on out and party, dance, and sing with us this summer. It's going to be a blast." Band of Brothers, Hardy Company & Enterprises, and Rooney's Irish Pub hosts the first ever 805 Country Music Festival and AG Show on Saturday, June 24 (noon to 6 p.m.; all ages; $20), in Old Town Orcutt, with local favorite JD Hardy and a national headliner Terra Bella, "who will rock the house country style with local opening acts Dylan Ortega and Charlie McNeal," according to organizers. "The AG show will allow local ranchers, farmers, and more to display their products and/or services to attendees." ETHEREAL FOLK POP Shadowlands plays a fundraising concert on June 24, in Los Osos' Awakening Meditation and Yoga Center. Los Osos' Awakening Meditation and Yoga Center presents Shadowlands on Saturday, June 24 (7:30 p.m.; all ages; $20 presale at brownpapertickets.com or $25 at the door), in a fundraiser with proceeds supporting classes and events at the center. There's also a silent auction and light refreshments will be served. "In addition to Shadowlands favorites and some newer songs, the format will include the four of us covering songs by Bob & Wendy, Karoline Hausted, Mark Davis, and To Wake You," cellist Bob Liepman explained. Bob is half of the popular husband-and-wife act Bob & Wendy, who several years ago joined fellow husband-and-wife duo Hausted and Davis (now known as To Wake You) to create Shadowlands, an ethereal folk act. Both Hausted and Davis also have solo recordings, so there should be an interesting and diverse mix of music. If you want to go, I strongly suggest buying tickets in advance. COW PUNK J K and the Rock 'n' Souls return to Paso's Rock 'n' Robles Grill & Pizza Kitchen on June 24 and July 15. 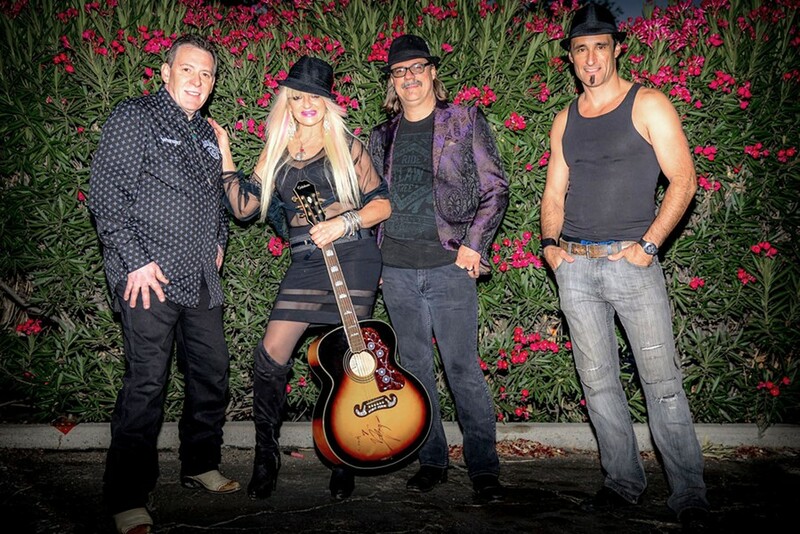 J K and the Rock 'n' Souls return to Paso's Rock 'n' Robles Grill & Pizza Kitchen on Saturday, June 24, and Saturday, July 15, for a couple more nights of original cow punk and rock hits (8 to 10:30 p.m.; all ages; free). "We're adding some new originals and rotating well-loved cover songs so another high-energy, creative show is planned, but a little different than last time," vocalist-guitarist J.D. Krause said. 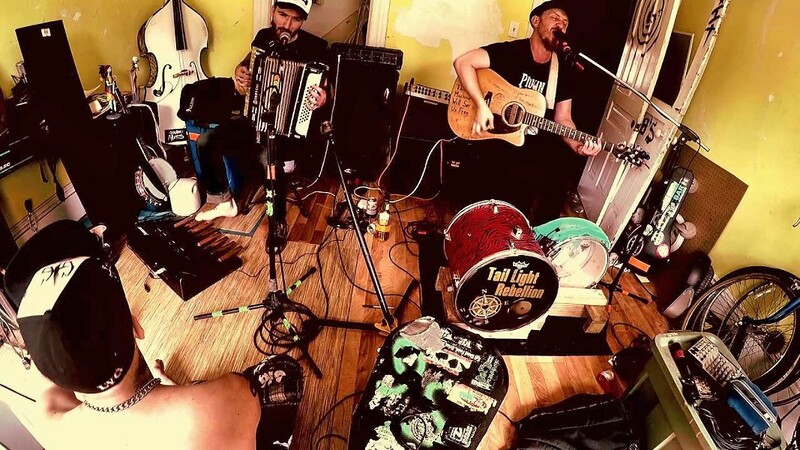 Irish-American folk rock duo Tail Light Rebellion plays the Frog and Peach this Saturday, June 24 (10 p.m.; 21-and-older; free). With Appalachian, bluegrass, blues, punk, and ska influences, the duo plays guitars, accordion, mandolin, banjo, harmonica, and foot percussion, giving them a big sound. RUSTBELT ROOTS Irish-American folk rock duo Tail Light Rebellion plays Frog and Peach on June 24. 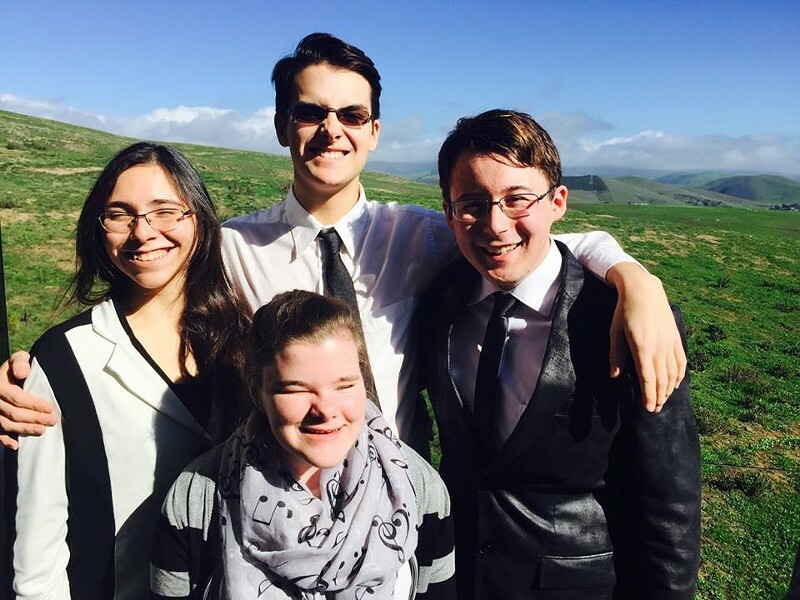 The Night Blooming Jazzmen from Claremont and the Cool Notes Jazz Band from Cuesta College will play the next Hot Swingin' Jazz concert hosted by The Basin Street Regulars at the Pismo Vet's Hall on Sunday, June 25 (1 to 4:30 p.m.; all ages; $10). Expect a whole lot of Dixieland jazz! It'll be worth it just to experience the bone-dry humor of Night Blooming Jazzmen leader Chet Jaeger, who's gotta be close to 90 years old. He's a classic! The Famous Jazz Artist Series returns to Painted Sky Studios with guitarist Frank Potenza on Sunday, June 25 (6:30 p.m.; all ages; $20 general admission or $10 students; reservations suggested by contacting charlie@talsanmusic.com or calling 927-0179). Bassist Luther Hughes, drummer Darrell Voss, and series co-producers Charlie and Sandi Shoemake will join Potenza, who's played with Dizzy Gillespie and Brother Jack McDuff and is currently the head of the guitar department at USC. COOL JAZZ The Cool Notes Jazz Band from Cuesta College will play the next Hot Swingin' Jazz concert hosted by The Basin Street Regulars at the Pismo Vet's Hall on June 25. Hard rock trio done. plays the Frog and Peach on Saturday, June 25 (9 p.m.; 21-and-older; free). Singer-guitarist Aaron Zell and bassist Mike Palmer formed in 2013 after they decided that even though their "teen bodies were now gone ... their talent and dreams of being famous were not 'done.'" They added drummer Cody Herzog to created "an intricate sound that meshes with a brutal pounding rhythm section, transient guitar riffs, progressive song structures, and lyrics of an unsettled soul." This Tuesday, June 27, check out Oregon-based rock trio Tigers of Youth at Frog and Peach (10 p.m.; 21-and-older; free). Touring in support of their debut record, Rapture and Gravity, the band will bring its self-described "bright-edged soul-rock" to town. Up in the Paso Robles City Park, hear the classic rock, funk, and reggae of The Jammies during a free outdoor concert on Thursday, June 22 (6 p.m.; all ages). Over in SLO Town, The Tipsy Gypsies bring their vintage Gypsy jazz and blues to Concerts in the Plaza on Friday, June 23 (5 p.m.; all ages; free). They're hot off their Main Stage performance at the 2017 Live Oak Music Festival. And down in Arroyo Grande, the Village Summer Concert Series features '60s rock cover act Unfinished Business (warning: autoplay!) on Sunday, June 25, at the Rotary Bandstand (1 p.m.; all ages; free). This is a fun band playing covers of everyone from The Beatles to The Rolling Stones, The Beach Boys to The Doors, and so much more. Their repertoire is nearly inexhaustible!